Dave McComb - The Dave McComb Blog featuring musings on life, tech and everything in between. Dave McComb's musings on life, tech and everything in between. If you use Gmail all the time like I do, then there are two great add-on products that you really need to install. The first is Rappaportive. I’ve been using this software for awhile now and it is really cool. What it does is try and pull the contact information from anyone who emails you from various social media sites (Facebook, MySpace, LinkedIn, etc.). 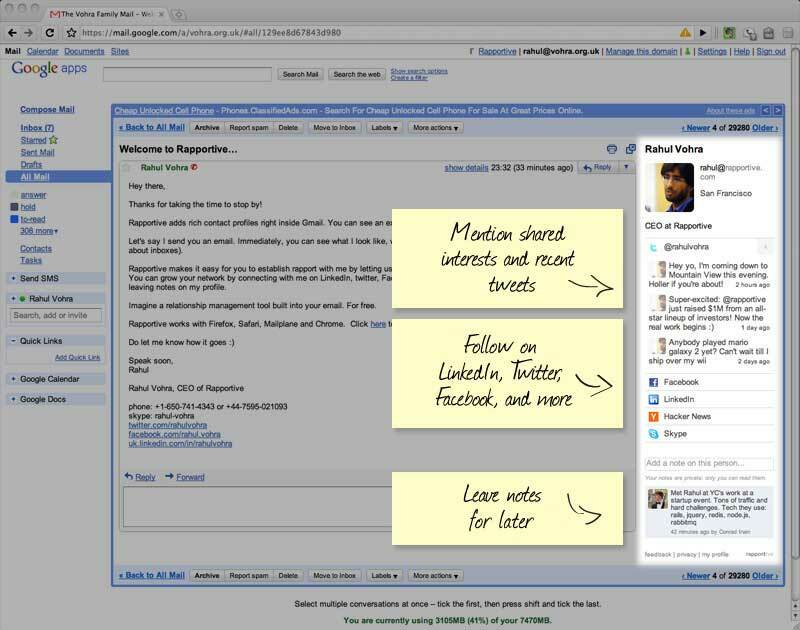 If it finds information, it will display it along the right-hand side of your Gmail window. This includes things like their photo, location, and links to the various social networks they have profiles on. It’s really great to see a photo and information about the person you’re emailing, especially when you may have never met before. The second is Cloud Magic. Cloud Magic is a plug-in for Firefox and Chrome that adds super fast searching to Gmail. Yes, Gmail does have Google’s search built in,but Cloud Magic improves on Google’s search by through a number of things. First, it uses a floating toolbar that allows you to search without having to open a new tab. This is extremely useful when composing an email and needing to find some relevant bit of information to include. It also allows you to link all your Google App accounts and search through the email in each of those accounts as well as the one you have open. (I have about 6 different Google Apps accounts, so this is extremely useful). Both tools are incredibly useful and add a lot to the Gmail experience. I made the switch from Mac to PC just over a year ago, and I couldn’t be happier with my decision. I love my MacBook Pro and most of the Apple software is amazing. I’d recommend dumping iPhoto and getting Picasa now. If you’re looking for cheap cables, be sure to check out MonoPrice as well as DeepSurplus. Both have some great deals on cables that cost much more elsewhere. Apple has just released iOS 4.02 for the iPhone which fixes the PDF security flaw that allowed the jailbreakme.com web site to function. As most good jailbreakers now now, do NOT upgrade to this version of the software as it is currently un-jailbreakable. In other news, Ultrasn0w 1.1.1 has been released (the tool you need to unlock your iPhone). This new release has been tweaked and should improve standby battery performance. 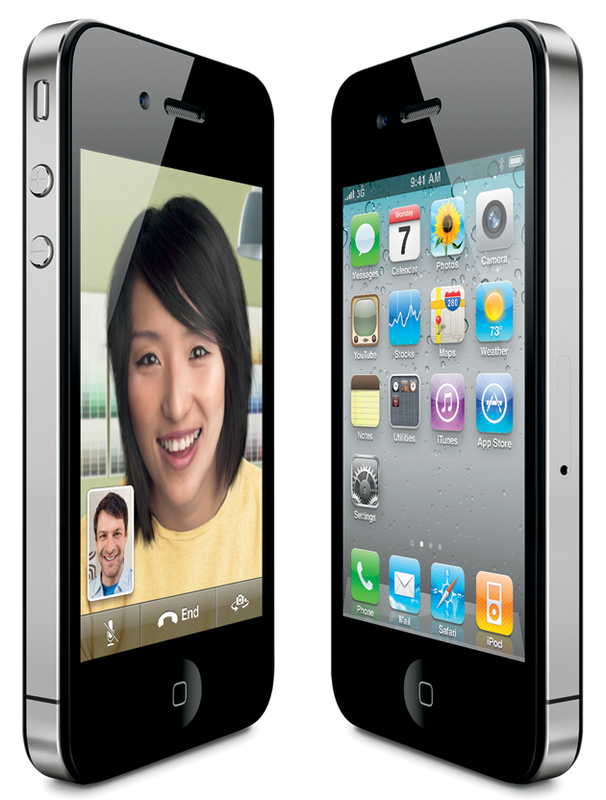 I’m currently waiting on my new factory unlocked iPhone 4 which is coming from the UK. My friend, who waited for about an hour at the new Covent Garden Apple Store to pick one up, tells me that the line for the unlocked iPhone was about 100 people when he got there and 300 people when he left. There was no line at all for iPhones with a service contract. He also says that a lot of the people in the line were foreigners wanting to get one. The Apple employee told him that they were moving around 3,000 iPhones a day from that location alone. They had gotten a new shipment the previous night and expected to be sold out by that afternoon.